10 Coolest Jailbreak tweaks – Hello guys, today we are showing you 10 coolest jailbreak tweaks. after releasing iOS 11 the tweak developers start to create new tweaks for iOS 11 and today we have discovered more 10 coolest jailbreak tweaks, which you want to download now. guys, these jailbreak tweaks are the best tweaks of the last week of July. 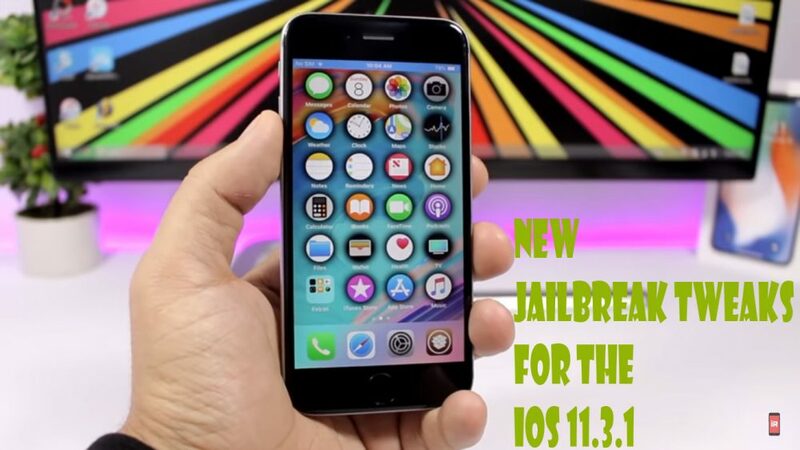 so let’s go further and have a look at these Apple coolest jailbreak tweaks. Force in picture is a pretty dope tweak. it will add picture in picture on your iOS 11.3.1 device. all you have to do while watching a video then just tap the button on the top left of video and now it will detach the video. so you will be able to watch it anywhere on your home screen, where you want. so you can see the videos anywhere you screen. you can pause it you can bring it back and you can close it from there just using the X button. The floaty dock will bring the iPad style dock to your iPhone. you can see in the picture above. you can have more icons on the dock. so it’s pretty awesome. if you go to the settings of this tweak then you can enable it and you can have the regular dock icon. So you will see that you can have up to 10 icons on the dock of your device and then you can enable your recent apps as well as suggested apps and you can set that how many suggested apps you want to see on the dock of your iOS 11.3.1 device. Evenesco this tweak will make the icons fade away. if you’re not using your device. if you leave your device on for some seconds then you will see that all icon will just disappear. it will disappear completely and you will see just the wallpaper. if you go to settings then you can set there after how many seconds you want the icons on the home screen to disappear. Minimal HUD will replace the stock iOS volume HUD with the custom on the status bar. it looks pretty cool and if you go to the settings of the tweak then you will have an enable button then go ahead then you will have themes. so you have different themes to choose from to apply to the new volume HUD. so you will have four themes. so just pick any one of them. Quick power mode is very useful. it allows you to easily turn on and off low power mode simply by tapping the battery indicator on the status bar. The better shutdown is a tweak that will give you more options under the power down menu. so normally all you get on iOS is slide to power up. but if you install this tweak then you will now get three different options. so you have the power of, you will have a reboot button, also a respring button. if you need to respring your device. The Smile battery is a pretty cool tweak for the battery indicator. instead of showing the battery percentage, it will show you a smile and the smiley will change based on the percentage of battery that you have left. Appcon is a tweak that allows you to set any of your images as the icon of an app. so you tap on the icon then go to the Edit code then just tap and you can go to replace from photo library and it will take you to your photo library. you can set any pictures as the icon of that app. So it’s pretty awesome. to restore the icon image again tap and hold on the icon then tap on the restore original button then you will see that it will bring back the all this talk icon basically of the app. 9Folderz brings back the iOS 9 style folders to your iOS 11 device. you know on iOS 11 and I believe iOS 10 as well. when you open a folder. it will blur the home screen and open the folder. but if you install this tweak then you will see that it will just remove the icons no blur and it will show you only your wallpaper in the background. you can also enable a dark mode for the folders and it looks pretty cool. Color my cc modules allow you to customize the control center by coloring the modules of the control center to any color that you like it. just go to the settings of the tweak and pick a color and then all the modules all the buttons and the controls on the control center will be of that. Thank for reading this article. guys, these 10 tweaks are the coolest jailbreak tweaks for your iOS 11.3.1 device. so don’t wait just go ahead and download and install these 10 coolest jailbreak tweaks on your device. hope you will like this article and if you like this article then please don’t forget to share this article with your friends, family members and on the social media and also visit on this blog daily. because we update here every day new and helpful article like this.